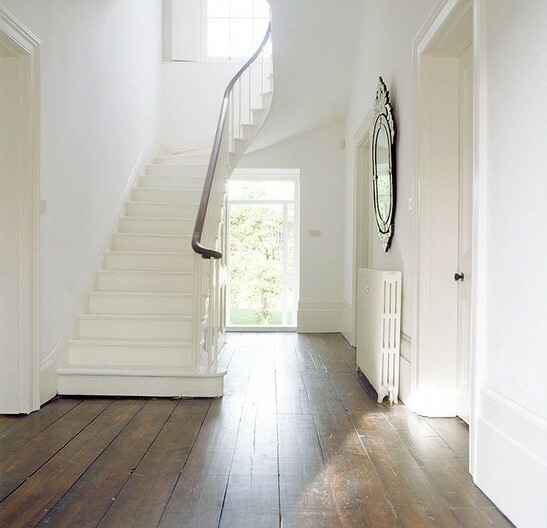 cline rose | Taking everyday inspirations and translating them into stylish and classic interiors. Taking everyday inspirations and translating them into stylish and classic interiors. 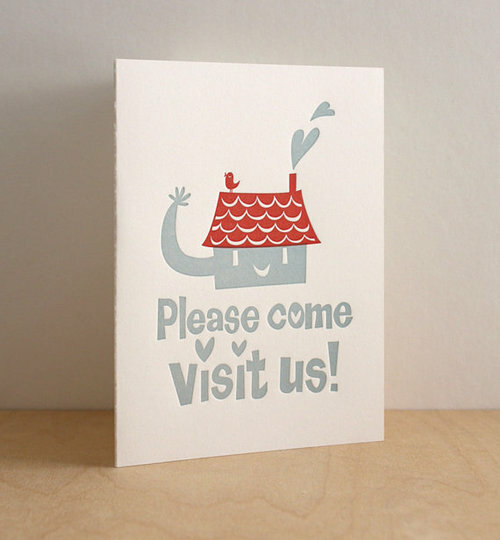 Photo credits: Fugu Fugu Press via Etsy. Twenty twelve. Has a nice ring to it, doesn’t it? Typically, I like to completely start over when a new year begins. Start a crash diet. Fail at a crash diet. Wipe the slate clean and forget about all the mistakes I made. But not this year. This year, I’m taking it all with me. The ups, the downs, the highs and the lows. It’s all coming along for the ride. I’ve experienced too much to just wipe it all way. Which is why I am not declaring a true resolution this year. The diet coke stays and the gym membership might not. No deadlines, no deal breakers. I’m just going to practice, improve and enjoy everything and anything I can. 2012 is a big year for me. 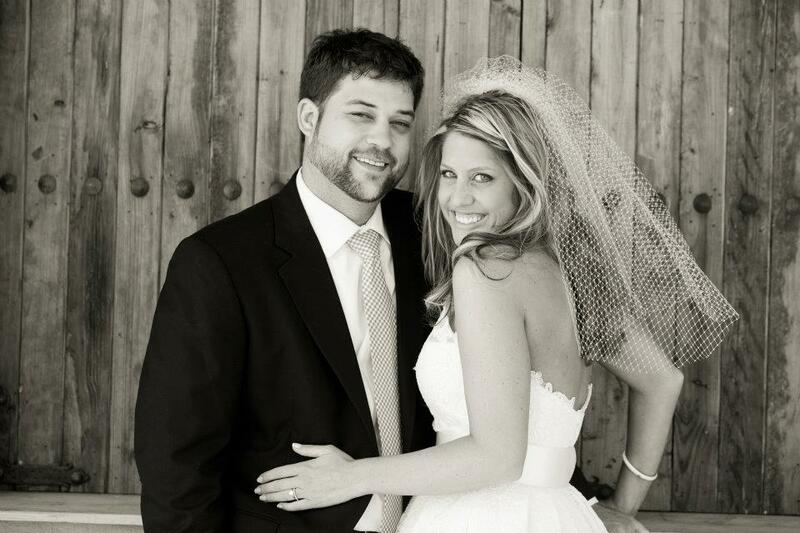 In six months (almost to the date) I turn 30, the same day my design business turns 5. 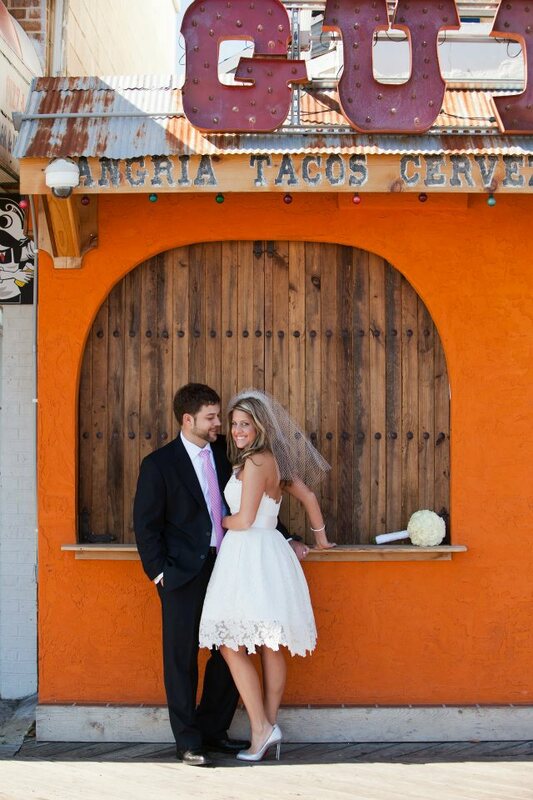 And in a few short weeks, this crazy little blog I’ve created will hit the one year mark. I am most proud of the last two things, especially after this last year. Last year was a year full of transitions, some great, some not so great. But I learned a heck of a lot in a short period of time. And I plan to do the same over the next 12 months. And while we are on the subject of fresh starts, here is another reminder that we’re going to be transitioning to the clinerose.com address soon. 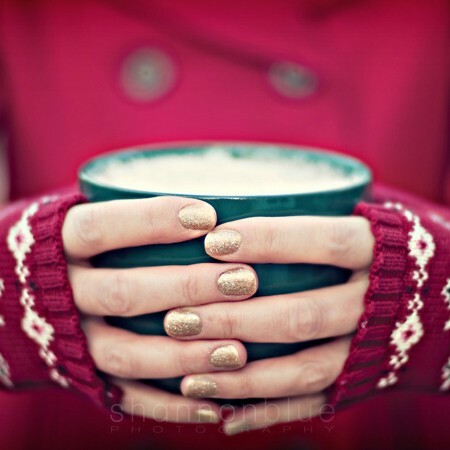 Photo credit: Farm7.static.flickr via pinterest. Best wishes for a happy and healthy new year. I realized this morning that I didn’t blog yesterday. Sorry about that. I’ve never done that before. But I have a good excuse. The truth is that I was busy playing Santa. Or an elf. That’s more accurate. You see, David’s grandmother has been in the hospital for a little over a week now, so as a surprise to David’s Grandpa we decorated their house, inside and out, with anything we could find in the 70 million boxes in the garage marked “Christmas”. We weren’t there to see the big reveal, but apparently he cried which just melts my heart. Mission accomplished. My plan for the next few days is to soak up as much family time as possible. That’s what it’s all about right? That and trying to convince David’s six year old niece that Santa is in fact real. Apparently, a boy in her class, Adam who will remain nameless, told her that her parents are Santa. Her parents buy all the presents. And eat the cookies. Can you even believe that? Ridiculous, right? I will check back with you, my fantastic readers, when we return home from Nevada. Happy Holidays to you and yours! Just a quick snap shot of The O’Country Club taken by my iphone when I was last onsite. All the furniture is in. We’re almost there. All we need is need that final layer of accessories (mostly old leather bound books). Photo credits: Me (See resources here). On a blanket with my baby, that’s where I’ll be. 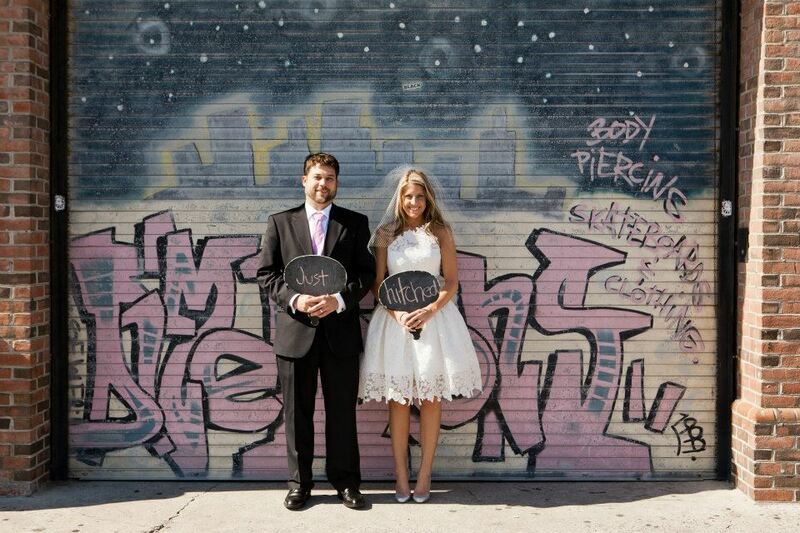 Okay, so clearly these pictures are ABOVE the boardwalk but I just had to use the song. Under the Boardwalk. We’ll be falling in love. 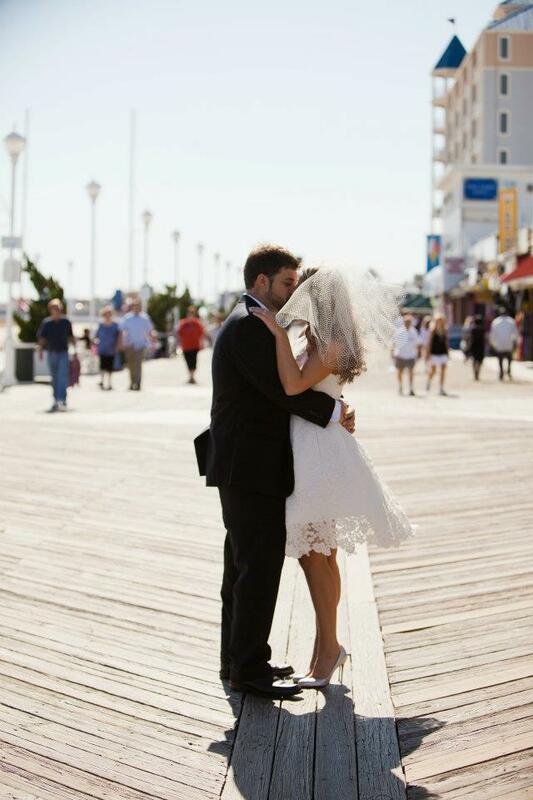 These photos are of my girlfriend, Beth, and her husband, Jeremy, the day after their wedding on the Ocean City boardwalk. Beth wore her second dress that she changed into for the cake cutting and the dancing at the reception the night before. Romona Keveza, I believe? 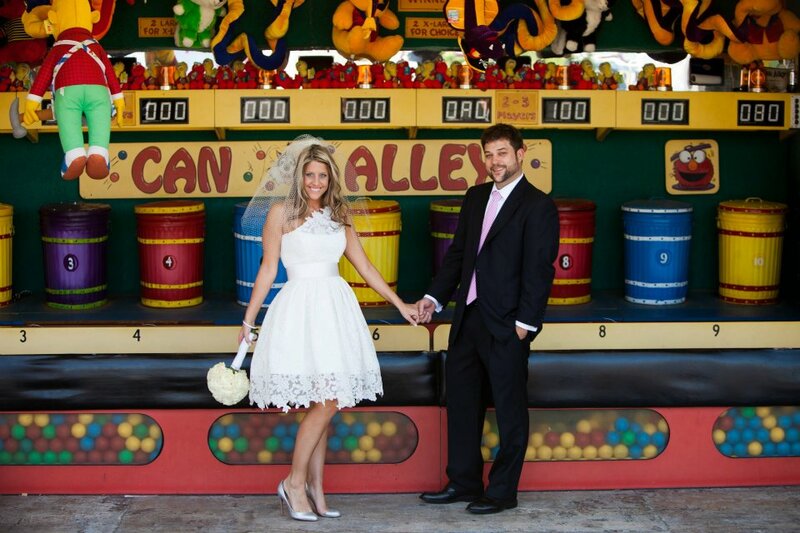 It is such a fun and flirty dress (perfect for Beth!) 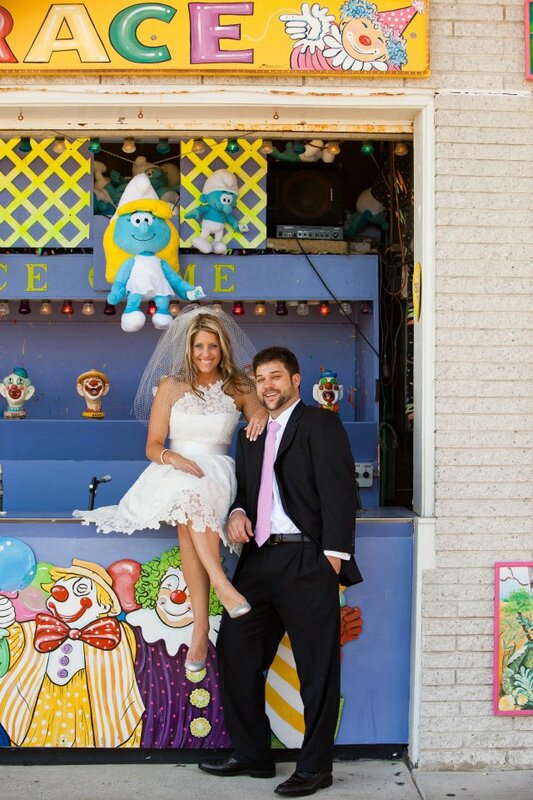 and its the perfect accent for a fun and flirty photo shoot on the boardwalk. This scene is from the movie Mr. Blandings Builds His Dream House (1948) staring Cary Grant. A client was teasing me during our consultation that I sounded just like this when talking about paint colors. I hate to say it but it’s true. I did do sound just like this. Now the kitchen is to be white. Not a cold, antiseptic hospital white. A little warmer, but still, not to suggest any other color but white…I love it. Ha. Thanks for sharing the video clip, Judy! 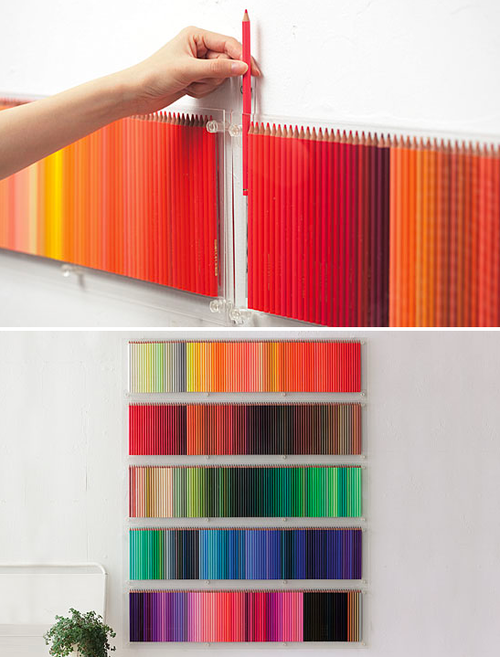 DIY: Colored Pencil Wall Art. If making Christmas wreathes isn’t your thing, how about making this incredible wall art using colored pencils instead? I think this is just about the coolest thing. 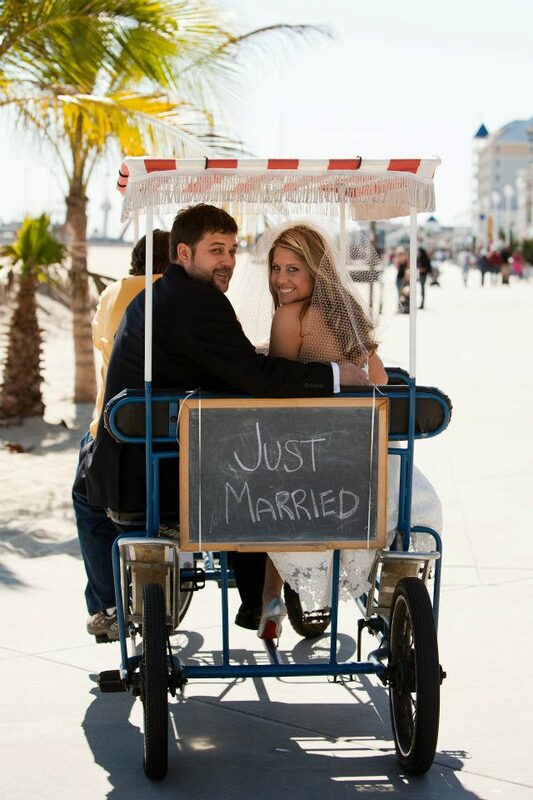 What an insanely creative idea! Colored pencils (and crayons) are so pretty just sitting in the box so why not display them? 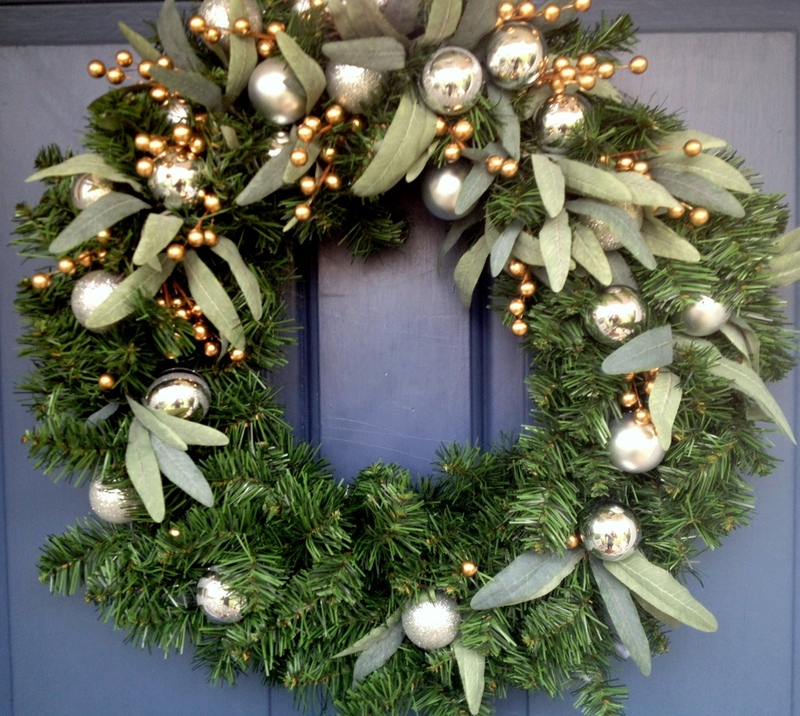 DIY: Christmas Wreath via Martha Stewart. That Martha. She’s good. This is wreath is phenomenal. 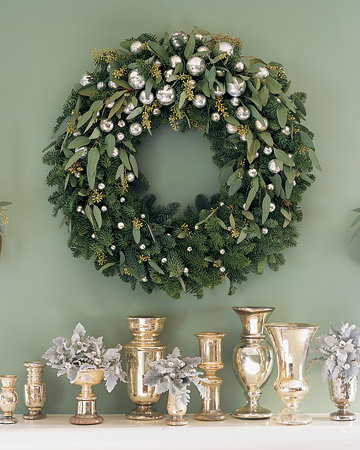 It’s made from noble fir branches, seeded eucalyptus leaves and varying sizes of silver ornaments. I knew instantly that I wanted to make my own. I had some cheap plastic silver ornaments that I bought a few years ago for vase fillers that aren’t big enough for the tree (and since they are plastic they aren’t very shiny). I also had a fake wreath (or so I thought) but somehow I misplaced it. It was nowhere to be found. David thinks I threw it away but I’m kind of a hoarder so I highly doubt that. Oh well. Off to Michael’s to find the rest of the supplies. I couldn’t find eucalyptus leaves, especially seeded ones, so I purchased a handful of olive branches (top right photo) instead. 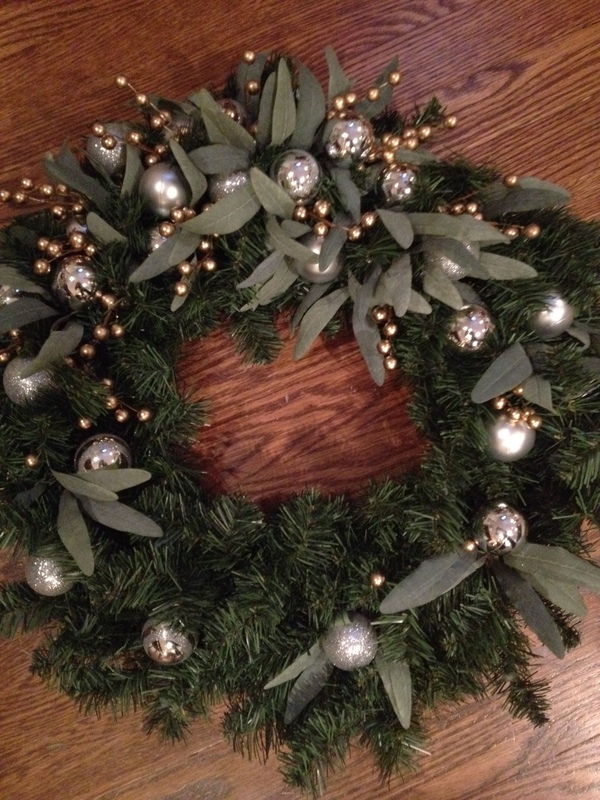 I also bought 2 branches of these gold berries (bottom left photo) to mimic the gold foliage in Martha’s wreath. I cheated. Don’t tell Martha. 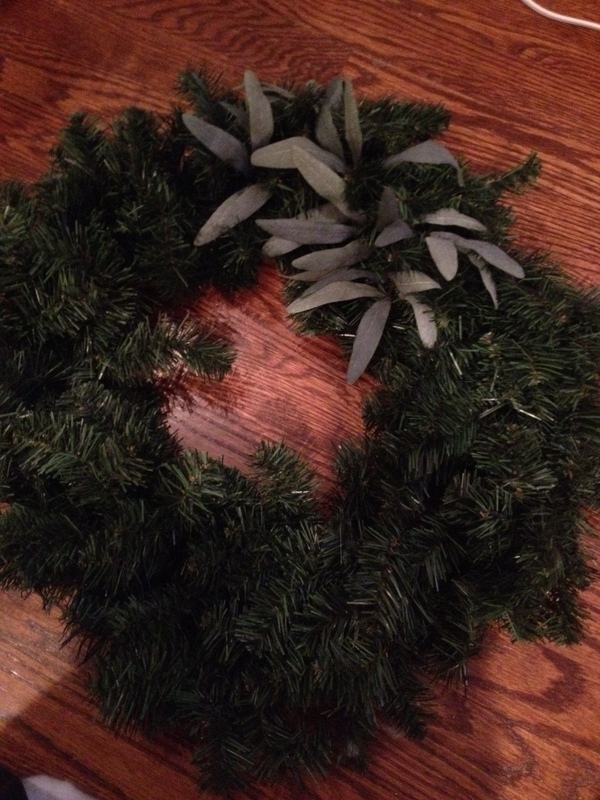 Oh and the wreathes are on sale for $1.99 so it’s not too late to make your own! 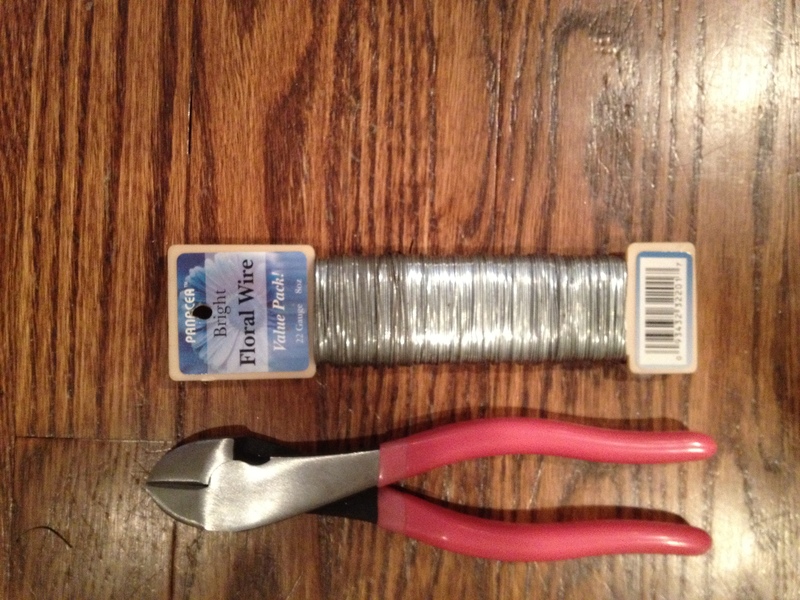 And if you don’t have floral wire or wire cutters (bottom right photo) pick some up. You’re going to need those too. Martha has a how-to on her website but this is what I did. I modified Martha’s instructions to work for me. Step One: Cut the olive leaves off the stem. 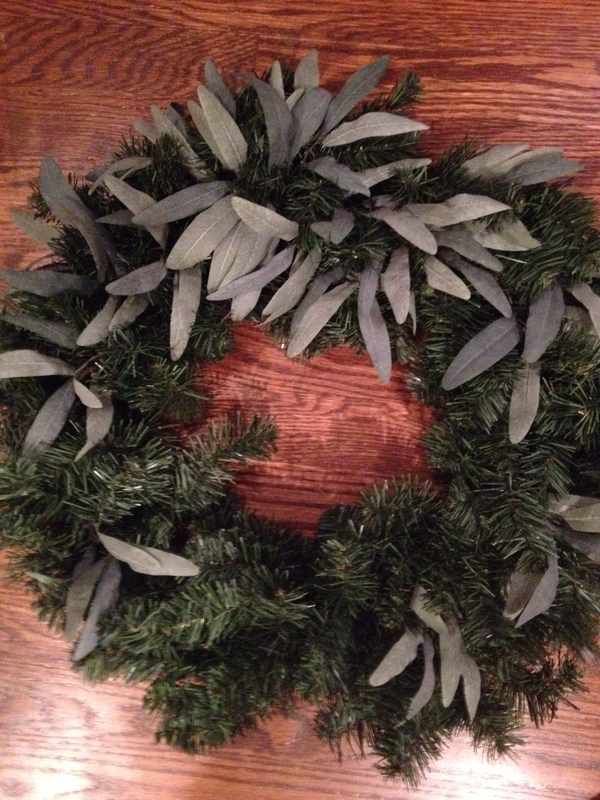 Hot glue the olive leaves in the wreath. To give that fading effect, I bunched more leaves toward the top and spaced them out as I went around and down the sides of the wreath. 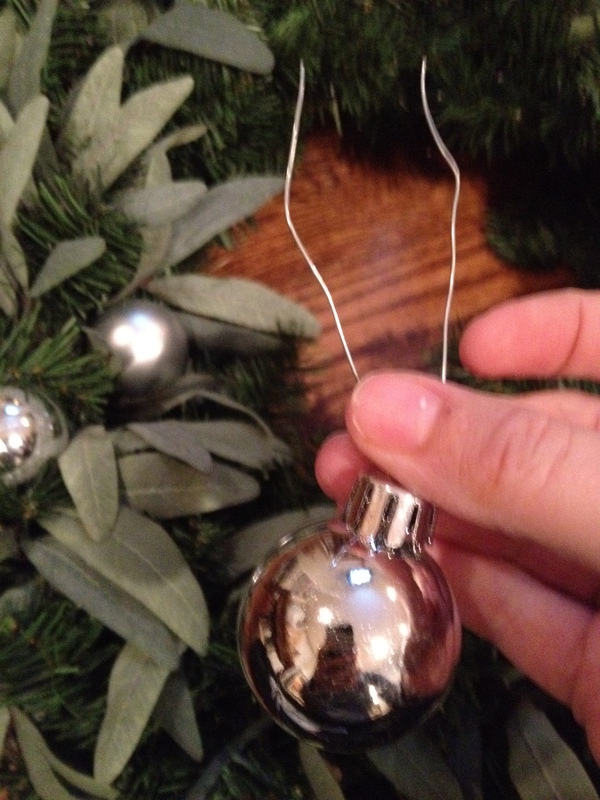 Step Two: Cut floral wire about 3″ long and thread it through the top of the ornaments. Bend in the middle. 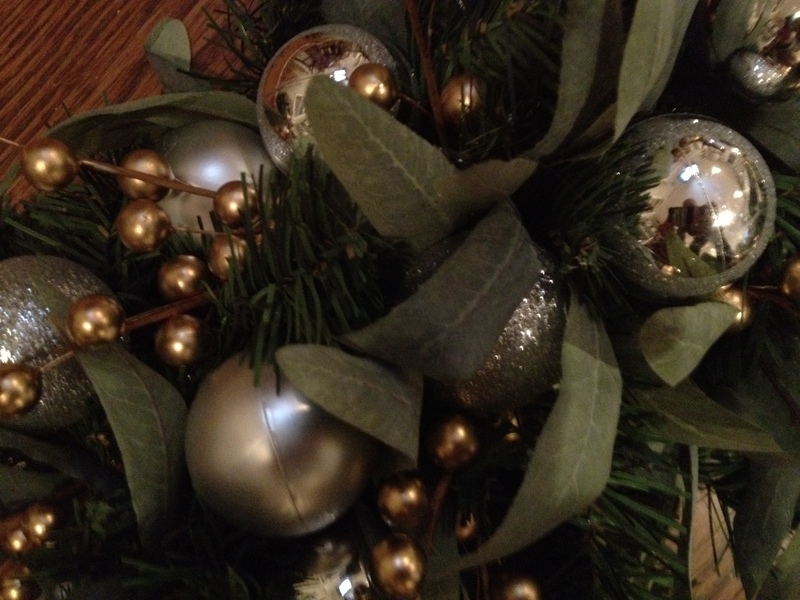 Shove it through the wreath like a bobby pin and secure in the back by twisting it like a twisty tie. The wire I used was a thicker gauge which caused the edges to be sharp when cut by the wire cutter. So, after I twisted the ends to hold the ornament in place, I bent the ends back into the wreath so the edges weren’t exposed. Even though all of my ornaments are the same size, I wanted to get that fading effect that Martha created with her wreath. To achieve that, I grouped the ornaments closely together at the top and spread them out as I went around and down the sides. Just like the olive leaves. Step Three: Cut the gold berries sprigs off the stem. Hot glue the berry sprigs where there is any dead space. Again, I clumped the sprigs together at the top, and spread them out as I went around and down the sides, just like the ornaments and olives leaves. Step Four: Have yourself a merry little Christmas! Step Five: Make your neighbors jealous. 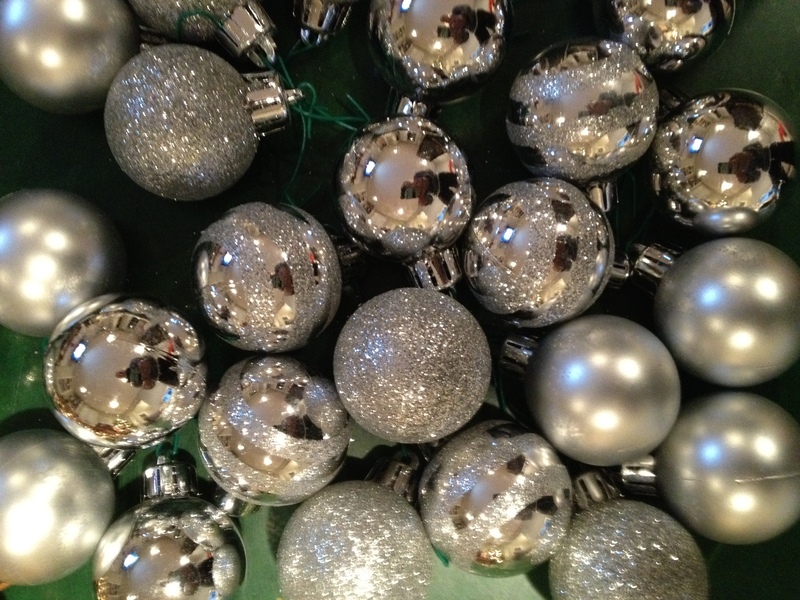 Photo credits: Martha Stewart and Me. I’m working with a new client who just bought a beautiful new home in Falls Church, VA. Since the house is currently empty, we have a rare chance to get down and dirty without disrupting any day-to-day activities. We are also able to work through Christmas and New Year’s which almost never happens (out of town guest and holiday parties make sure of that). So, I have been working on organizing contractors for walk-throughs and onsite measures (and ultimately obtaining estimates) in an effort to make the “after” of my client’s house look like these photos below. My client actually ripped these photos out of 2 magazines on two separate occasions so you know she likes it (The photos are from Traditional Home’s September 2010 issue, designed by Ken Gemes and photographed by Tria Giovan). In the back of the house, where the kitchen and family room are located, my client and I wanted to move away from the sage greens, creams and yellows and incorporate bolder shades of deep green and red. 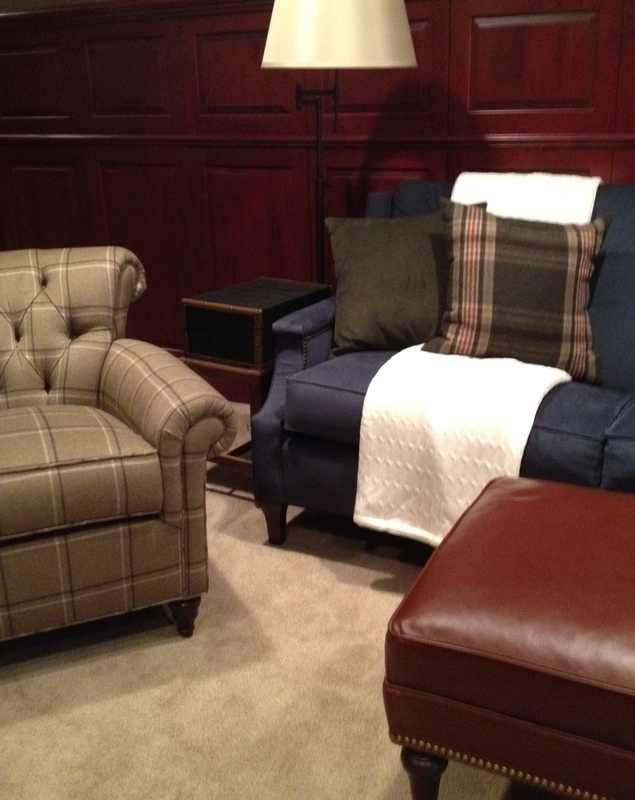 We decided something more comfortable and rich with color would be a better fit than the softer palette shown above. Some a bit more like this. Minus Alessandra Branca. Although, she’s welcome over anytime. The plan is to have everything ready to allow my client to move in early next year. So, I better be going. I’m meeting more contractors over at her house in less than an hour. Yikes. Photo credits: Traditional Home September 2010 and Decorati. a blog dedicated to inspiring creativity in anyone who happens to stumble upon it, in the online search for all things fabulous. Check back here daily for updates on my adventures as a designer as I share shots of my current progress, inspirational interiors from creative professionals, color and accessory trends both from home and abroad and anything else I come across in the constantly evolving world of design.